Don’t start stressing before the real holiday chaos ensues. Instead, follow these 10 Ways to Make Halloween Less Stressful. Halloween is this fun and magical season. There’s candy, costumes, decorations, and no other strings attached. What could be better?! Maybe costumes at school again. Halloween is such a fun time to get into the swing of all things holiday (since it is the precursor to Thanksgiving, then Christmas, and New Years) with a fun, playful vibe that allows people to use their creativity and sweet tooth to create fun and/or spooky decorations to prolong the mood as long as possible. There’s enough stress coming up with the remainder of the fall and winter holidays, so there’s no reason to overanalyze or stress over Halloween. 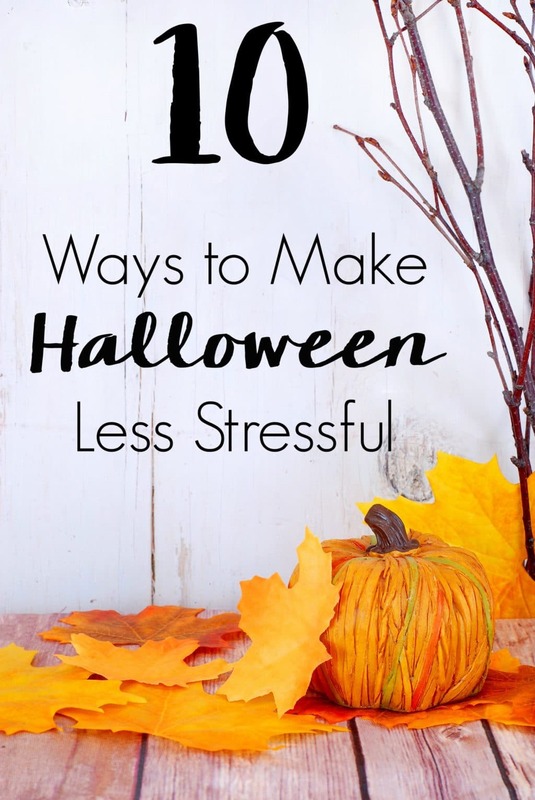 Instead, check out these 10 Ways to Make Halloween Less Stressful. Do not buy multiple costumes. Really, don’t do it. Your child has to have a dress up costume or last year’s one laying around somewhere so if there are multiple days or events to dress up for, then they can mix things up if they want to. Just say no to Etsy. Seriously. Don’t even go on there because it’s all cute and you need everything…but not really. Don’t buy new Halloween shirts every year. Wait until after Halloween, then stock buy a shirt for each child (at a discount) that they can wear next year.
. It’ll still convey the same look yet you might want to use it on multiple holidays. For instance, if you wanted to decorate your trees as rainbow for Christmas and St. Patrick’s Day, or if you wanted a Broncos themed tree (inside or out) for Christmas or the Super Bowl. You’d be shocked at how hard it is to find orange lights at any other time. Let’s talk decor. Again. Seriously expensive. We found a blowup at a hardware store that was nearly $200. No, thank you. Again wait until after Halloween and grab what’s left for next year. True you may not get the blowup monstrosity that you were hoping for, but you use it for a month (well more like two months, because on September 1st, inside Halloween decor is fair game) a year so I’m pretty confident it’ll work. Your entire home does not need to be decked out in Halloween decor. Sure, it’s cute. But again, it’s short lived and is just more clutter to move when you clean and visually look at, every day. Focus on one area of your home and create a statement with decorations. Then, let the less be. , pumpkins, or apples but you’re better off either (a) scouting out sales the year or holiday before (Halloween candles transition seamlessly into Thanksgiving candles) or (b) selecting scents that are carried by retailers year round that work for the fall holidays or (c) Stalking discount retailers like Marshalls that carry the previous year’s discounted candles right then. Watch Halloween movies on TV/Netflix. There’s no reason to buy a ton of movies or go to the theater and see the latest flick Instead, just check your local schedule or see what’s available on Netflix to see some of the classics (or newbies). 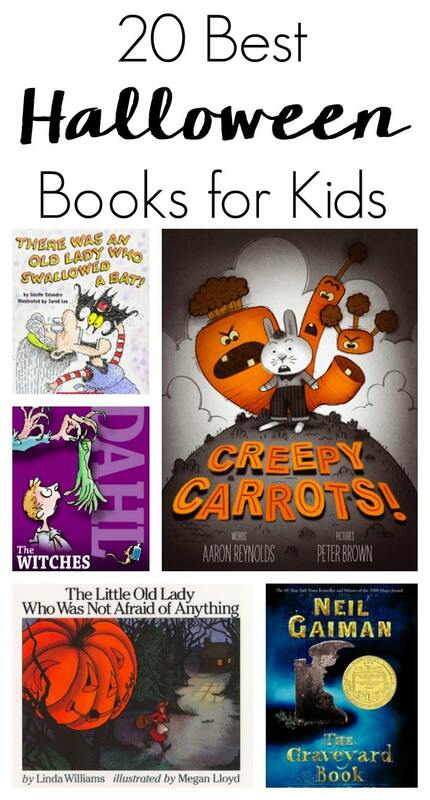 And if books are more your thing, share some quality time with the family while reading one of the 20 best Halloween books for children! Do you have any other suggestions on ways to make Halloween less stressful?